The non-partisan organization announced its list of environmental champions for the 2018 Ontario election and Schreiner was selected as the only party leader. 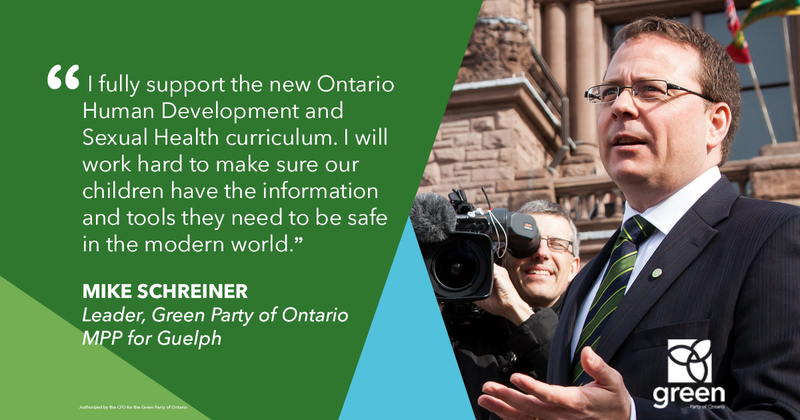 GUELPH, ON — GreenPAC announced today that it has endorsed Mike Schreiner as an environmental champion in the 2018 Ontario election. The non-partisan organization was created in 2015 to translate the broad support of Canadians for environmental progress into political action by highlighting environmental leaders in provincial and federal elections. 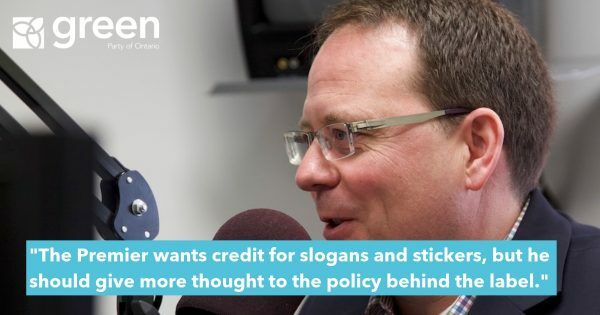 Schreiner was named alongside six candidates from the three other main parties, but he is the only party leader to be selected. “It is an honour to be recognized by GreenPAC for my environmental leadership, but I share this endorsement with all other GPO candidates running in this election. Our members share a deep respect for the people and places we love. What sets us apart from the status quo parties is our belief that the environment is not a separate category, but a core building block for all policy.” said Schreiner. 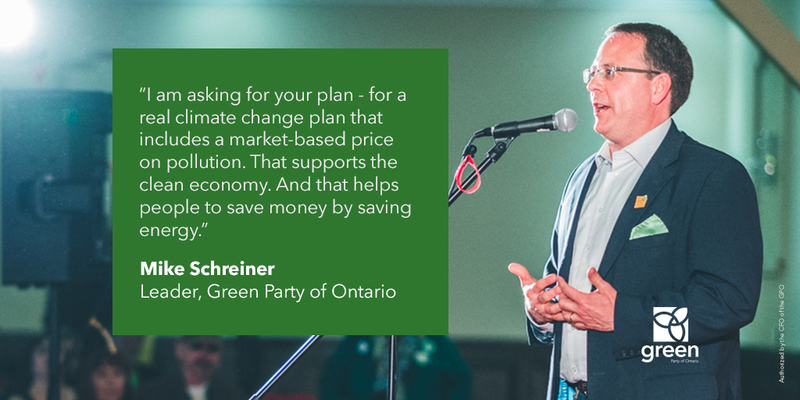 Schreiner received the endorsement due to his tireless advocacy in the local food movement, as well as for driving change at Queen’s Park on carbon pricing, banning the use of neonicotinoid pesticides, and securing funding for the Experimental Lakes Area. 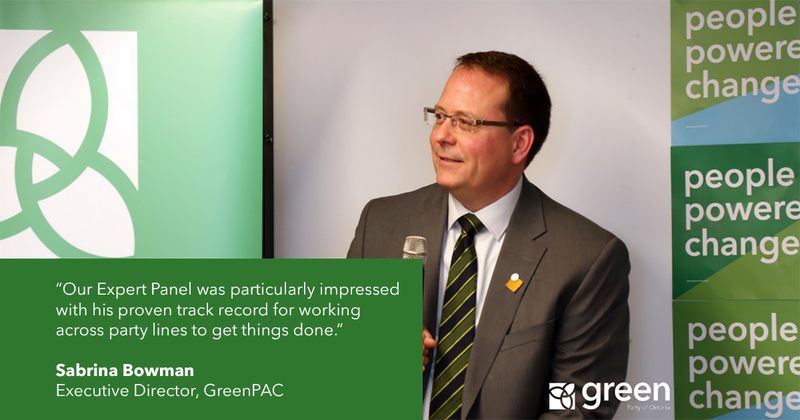 “Our ​Expert Panel​ was particularly impressed with his proven track record for working across party lines to get things done,​” said GreenPAC Executive Director Sabrina Bowman. 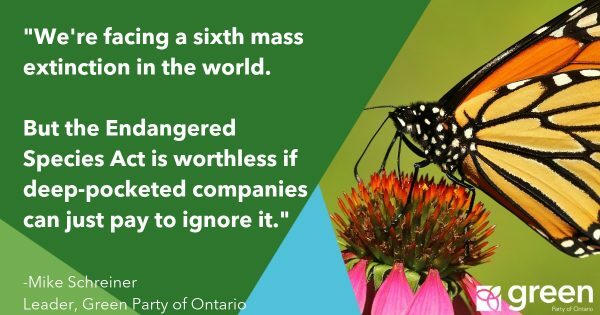 Like GreenPAC, Ontario Greens believe that good ideas to protect the environment are not the property of any one party, and we are happy when others share in the causes we have long fought for. “I am proud to lead a party for which the environment is not a separate issue. It is built into the DNA of everything we do and we recognize that by protecting the planet, we are also putting people first and building a 21st century economy in which we can all lead healthy lives,” said Schreiner. 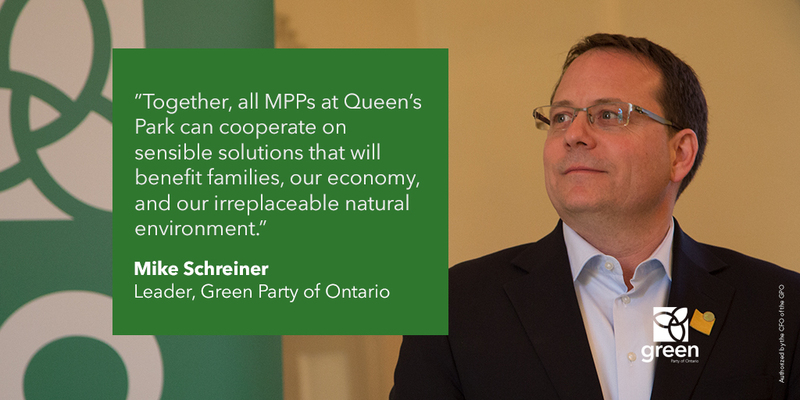 We thank GreenPAC and are proud of Mike Schreiner’s environmental leadership. 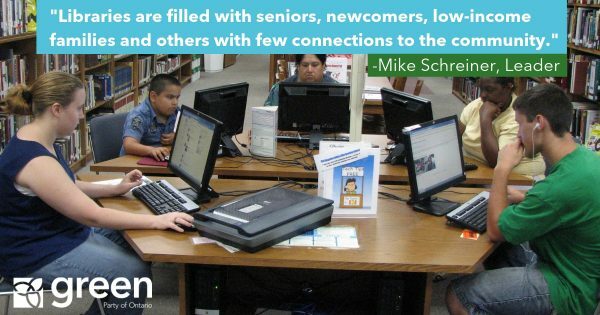 Visit Mike’s profile on the GreenPAC website here.